The study “Comparison of Beginner and Experienced Teachers" aims to bring a comparison of the experiences of Beginning teachers and those with experience in the teaching in Kosovo. It focuses on identifying and comparing differences in four aspects, which are closely related to the learning process: pre-service preparation, cooperation with parents, time management and classroom management. The population of the study are Teachers from Compulsory Education in Kosovo (Grades 1-9). The data was obtained using a 5-point Likert scale Questionnaire (1=Strongly Disagree to 5=Strongly Agree) with Cronbach's Alpha =.81 and KMO and Bartlett's Test=.79 with a sample of 336 teachers from 13 Municipalities of the seven regions of Kosovo (Beginning Teachers= 51.8%; Experienced Teachers=48.2%). The results of the study have shown that there is a significant difference between Beginning Teachers and Experienced Teachers in Time Management (F=5.3 and p=0.02), whereas there are no significant differences between these two categories regards pre-service preparation, cooperation with parents and classroom management. This study deals to a number of important issues and aims to support responsible institutions to develop programs for the professional preparation and development of Beginning Teachers. •	Ada, R.D., (2015). Teacher Development: A Look at Changes in Teacher Perceptions and Behaviour across Time. Journal of Teacher Education, 41-42. •	Borko, H., (2004). Professional Development and Teacher Learning: Mapping the Terrain. Educational Researcher, 33 (3), 3-16. •	Fishman, B.J., Marx, R.W., Best, S., and Tal, R.T., (2003). Linking teacher and Student Learning to Improve Professional Development in Systemic Reform. Teaching and Teacher Education, 19(2003), 643–658. •	Goddard, J.T., (2017). School-based Professional Development. Seminar Workshop Presented to the State Council for Teacher Licencing, Prishtina, Kosovo. 29 November. •	Goddard, J.T. and Habermann, S.R., (2001). Accessing the Knowledge base of Retired Teachers: Experiences in Establishing a Formal Mentoring Plan in a Rural School Division. Journal of Research in Rural Education, 17(2), 92-101. •	Hangül, Ş., (2017). An Evaluation of the New Teacher Induction Program in Turkey through the Eyes of Beginning Teachers. 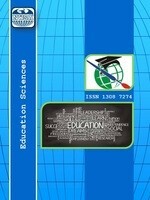 Journal of Education and Practice, Vol:8, No:10, www.iiste.org. •	Hangül, S., (2017). An evaluation of the New Teacher Induction Program in Turkey through the eyes of beginning teachers. Journal of Education and Practice, 8(10):191-202. •	Haradinaj, R., (2017). Keynote Address. Act for Better Education, Conference. Prishtina, Kosovo. •	Okhremtchouk, I.S., Jiménez, R.M., Rosa, R., Porter, S.G., Bhandal, N., Cramer, M., Lang, G., Magil, K., Mathrole, R., and Poulin, K., (2015). From Student-Teachers to Teachers of Students: Beginning Teachers’ Journeys from Pre-Service to the Classroom. Creative Education, Vol:06, No:03, http://www.scirp.org. •	Kagan, D.M., (1992). Professional Growth among Preservice. Review of Educational Research Vol:62, No:2, 129-169. •	Assembly of Kosovo, (2016). Law No. 05/L-066 for Regulated Professions in The Republic of Kosovo. •	Maskit, D., (2013). First Months in Teaching- Novices Relate to Their Difficulties. Creative Education, Vol:4, No:4A, 1-8, Published Online April in SciRes. •	Ministry of Education, Science and Technology, (2017). Strategic Framework for Teacher Development in Kosovo. Prishtina, Kosovo: Author. •	Ministry of Education, Science and Technology, (2011). Law on Pre-University Education in the Republic of Kosovo. •	Ministry of Education, Science and Technology, (2015). Quality Assurance Strategy for Pre-University Education in Kosovo 2016-2020Prishtinë. •	Ministry of Education, Science and Technology.,(2017). AI 4/2017 for Assessing the Performance of Pre-University Education Institutions. •	Ministry of Education, Science and Technology, (2017). AI 5/2017 Career Licensing and Career Development System. •	Ministry of Education, Science and Technology, (2017). AU Framework for the Professional Development of Teachers. •	Ministry of Education, Science and Technology, (2018). AI 10/2018 on the Normative on The Professional Framework of G eneral Education. •	Reitemeyer, U., (2003). Ist Bildung lehrbar? Berlin: Waxmann. •	Richter, D., Kunter, M., Klusmann, U., Lüdkte, O., and Baumert, J., (2011). Professional Development across the Teaching Career: Teachers’ Uptake of Formal and Informal Learning Opportuni-ties. Teaching and Teacher Education, 27(2011), 116-126. •	Starkey, L., Yates, A., Meyer, L. H., Hall, C., Taylor, M., Stevens, S., and Toia, R., (2009). Professional Development Design: Embedding Educational Reform in New Zealand. •	Teaching and Teacher Education, 25 (2009), 181–189. •	Steven, A., Melnick, D., and Meister, G., (2008). Comparison of Beginning and Experienced Teachers' Concerns. Educational Research Quarterly, 13-14. ISNAD Zylfiu, Haxhere . "COMPARISON OF BEGINNER AND EXPERIENCE TEACHERS". Education Sciences 14 / 1 (January 2019): 35-51.